Today Only: Space.NK Ultimate Beauty Gift! 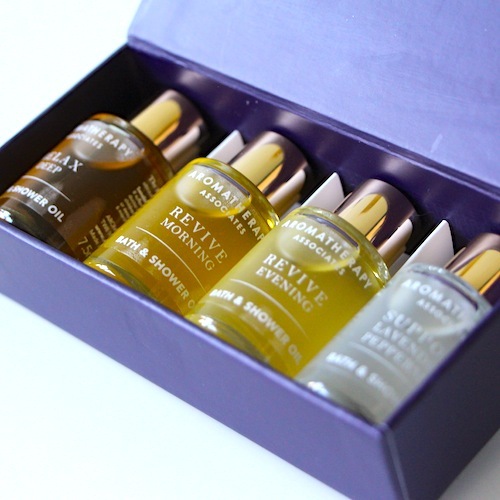 Ah, Space NK with another of their little bags of beauty treasure! These gift-with-purchase customer events seem to be getting more and more frequent – which is good, I suppose, if you regularly need to stock up on pricey treats, but bad if you’re trying to keep a tight rein on the old purse strings. At any rate, it’s excellent timing for those who are starting to think about their Christmas shopping – not only do you get a whole selection of amazing full and sample-sized products, there’s a £50 gift card! 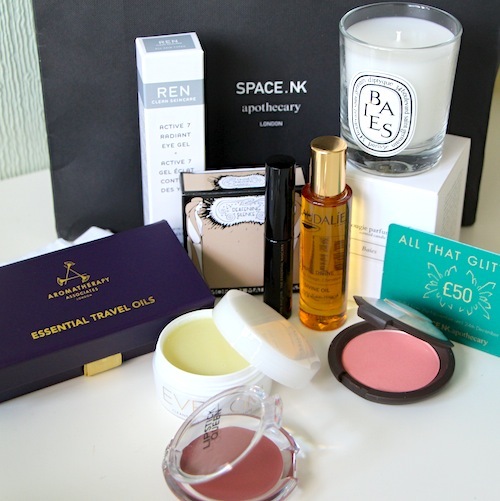 Goody bag highlights include the mini Diptyque Baies candle (although if you miss out on this, stay tuned for a nice little reader offer later this week! ), a full-sized Matte Gloss from Lipstick Queen, a full-sized blush from Becca and a gorgeous set of bath and shower oils from Aromatherapy Associates. Of course, if you’re sane, you’ll keep it all for yourself. There have to be some perks to this gifting malarkey! To get your hands on a goody bag you need to either book in at a Space NK store (tickets are £15 redeemable against the purchases) or, if you’re the kind of person who likes to shop from the sofa, you can just click here. Use the code BAG20 at the checkout if you’re shopping online, enjoy the mini treatments and champagne if you decide to pop to a store! The event is for today (20th November) only. Previous Post Amazing Zelens Skincare Giveaway!